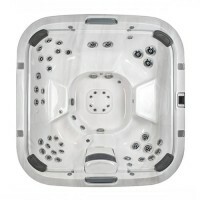 Indulge in the eye-catching elements, inspiring technology and advanced hydromassage of the J-500™ Hot Tub Collection. The J-575™ Hot Tub is the next generation of backyard luxury, showcasing a unique curvilinear design and therapeutic lounge seat for full-body relaxation with more back and hip coverage. 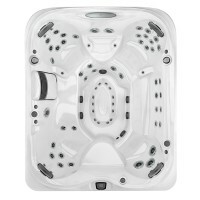 Featuring room for 5-6 adults, the breathtaking J-575™ Hot Tub boasts a new PowerPro® Jet for the hips. 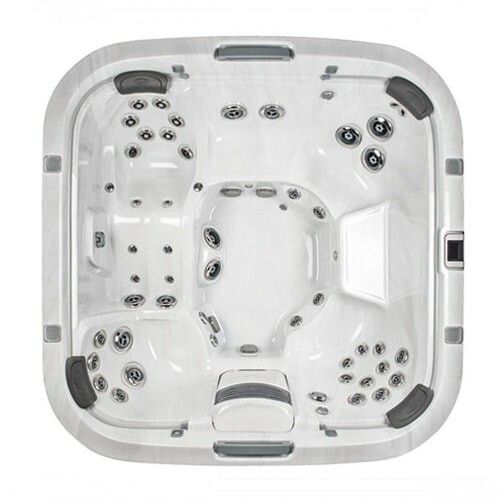 With room for 5-6 adults, the breathtaking J-575™ Hot Tub also features a therapeutic lounge seat for full-body relaxation. It boasts a new PowerPro® FX Directional Jet designed to relieve tension and improve circulation in the hips. The J-575™ highlights a designer woven exterior and architectural corner lighting outside, and dual ProEdge™ Waterfalls and interior illumination inside. Full-body coverage with hip jets deliver a sizable, deep tissue, spinning massage. Leg and wrist jets gently pulsate to release discomfort. And, wide-swath jets relieve feet. Packed with stimulating spiral jets, this seat targets stress with a versatile, deep tissue massage. And calf jets stimulate small muscle groups and relieve tension. Positions your body for the ideal hydromassage, offering a deep soaking experience, deep tissue muscle knot relief for the back and tension release for the neck. Indulge in the eye-catching elements, inspiring technology, and advanced hydromassage features. Explore more features here. A full-color, waterproof glass touch screen control rotates for easy access both inside and outside the tub. It also connects with the ProLink™ app to help you monitor your hot tub’s status, schedule maintenance reminders and adjust temperature and jet functions.